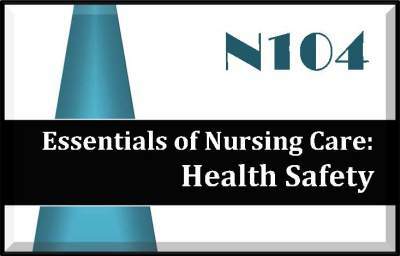 The Essentials of Nursing Care: Health Safety exam focuses on the the nursing process, patient safety, therapeuticcommunication, medication administration and basic nursing concepts. The exam is 130 multiple choice questions andyou will have 3 hours to complete the exam. Testing is at a PearsonVue testing center. Each study guide is a PDF document. The Health Safety study guide is 172 pages. The study guide loosely follows the content guide outline/syllabus and covers all areas noted. There are at least 400 practice questions included (NCLEX format with rationales) as well as reviews, summaries, charts/graphs/pictures and/or flashcards to help with your study! The Audio Review is a companion item to your study guide and includes a review of key concepts and principles related to the covered areas in MP3 format. The Audio Review is a 'review', it is not a rendition of the study guide. The Audio Review does not include the study guide or practice questions and additional resources. The Audio Review is a great way to briefly cover topics when you just don't have time to sit and study! Listen on the go - at the gym, driving, cooking, or even while you sleep! The Study Guide & Audio Review make great resources for the NTCX & the online classes too!